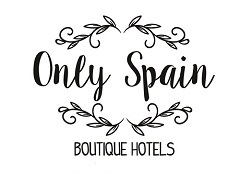 Where is and What is Andalucia and Which Boutique Hotel to Choose? Many people say to me ‘I love Spain and Andalusia’ but when I quiz them a little more I find that they don’t know much at all about Andalusia. Or is it Andalucia? So, here is a little about where and what Andalucia is. Andalucia is the Spanish spelling and Andalusia is the English way to write it. I use the ‘c’ spelling because I live in Spain, well Andalucia. So where is it? Down south of course! It’s the south of Spain. But not all the south, so what does it consist of? Well Andalucia is one of the 17 Autonomous Regions that make up Spain, there are also two autonomous cities – Ceuta and Melilla which are on Morocco’s Mediterranean coast. As one of Spain’s largest regions Andalucia, as most Spanish regions, is then divided into provinces. There are eight provinces in the autonomous region of Andalucia. We have boutique hotels in all but one at the moment, click the links below to see our collection. The eight provinces are – Almeria, Cadiz, Cordoba, Granada, Huelva, Jaen, Malaga and Seville or Sevilla in Spanish. Each of these provinces has a provincial capital of the same name. So Malaga, as with all of them, is both a city and a province. Which can be confusing. For example Malaga airport isn’t in Malaga city but in Torremolinos which is nearby. Sevilla isn’t only an amazing and tantalizing city but a vast area including Natural Parks and pasture land. Jaen isn’t only famous for its olive groves and olive oil but has a route of Castles and Battles running through the province as well as being home to Spain’s largest Natural Park – Parque Natural de Cazorla, Segura & Las Villas. Granada isn’t only home to The Alhambra but you can ski in winter and sunbathe on its beaches in summer, or at the end of April/beginning of May you can do both on the same day. Cordoba city, home to the incredible Mezquita, also has some stunning natural areas and white villages as well as grazing land for the pigs which produce excellent jamon. Huelva, bordering on Portugal also produces some award-winning jamon and its coast saw Christopher Columbus set sail on his voyages of discovery. It also has the most beautiful and awe-inspiring caves – La gruta de las Maravillas. Cadiz is the most southerly province with over 200km of coastline with excellent windsurfing where the Mediterranean Sea meets the Atlantic Ocean. Inland there are beautiful small towns and the ‘White Village’ route. Diverse and unique Andalucia oozes history and culture from one small town to another, from city to city it’s a compelling area to visit. Everyone falls in love with it. One visit is never enough. Azure skies all the year round, dazzling sunshine and sweetly fragranced gardens… colour, romance, emotion and the iconic figure of a flamenco dancer or the torero in the arena, sword and cape in hand beneath the scorching sun – there is no place like Andalusia on earth. Is Andalucia on your list of places to visit? But where with so much choice and being so vast in size it is hard to choose. Start with our province pages to find where to stay. Don’t forget we are trip planners too. Just pop over to the Trip Planning page and start your holiday rolling. Cadiz, Cordoba, Granada, Huelva, Jaen, Malaga and Seville.